These beautifully marked creatures live in shallow sandy bays & rocky reefs and seagrass beds from southern Queensland to southern NSW. 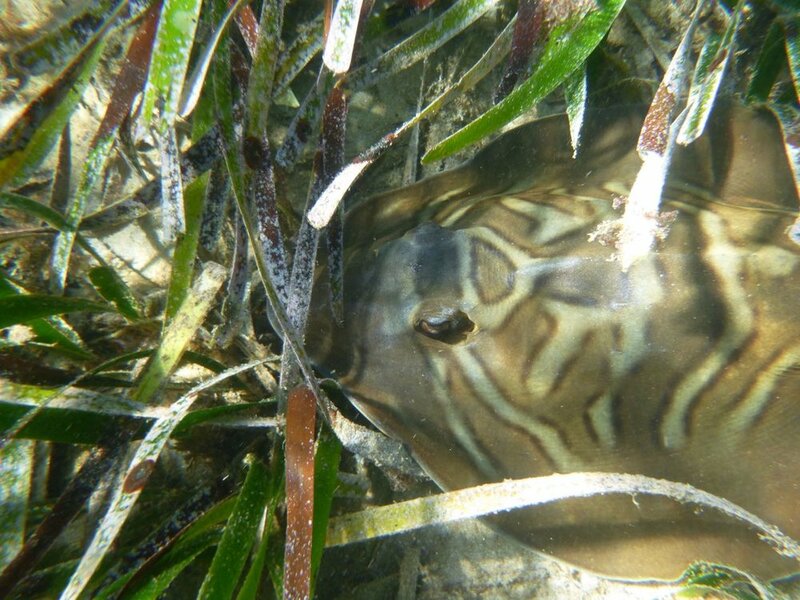 The ones shown here are the Eastern Fiddler Ray or Banjo Ray, Trygonorrhina fasciata, distinguished from the other 7 species around Australia by the triangular pattern behind the eyes. The disc is almost oval & shorter than the slender tail which has two prominent triangular dorsal fins......very shark like when first sighted in very shallow water in Merimbula Lake. They feed on the bottom shellfish, crabs & worms which they crush between their jaws. Banjo Rays are ovoviviparous, they have golden egg capsules and their young are born alive. Apparently there can be 3 embryos in each egg capsule. A very cold snorkel at Fisheries, in late Autumn and I got quite a fright as 5 of them emerged from amongst the Ecklonia and disappeared into the murky water. 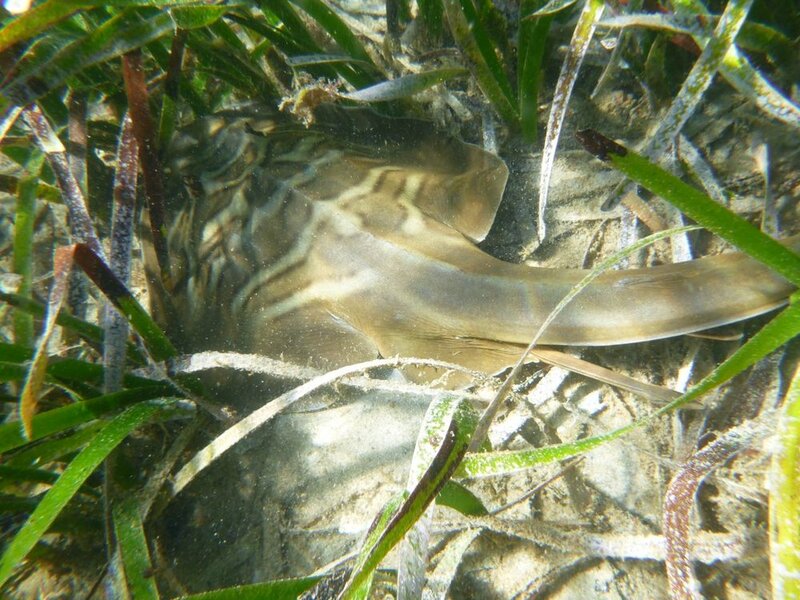 As you can see they are well camouflaged amongst the sea grass & shadows & will allow the photographer to get very close. If you have a story to tell about life in your part of the Atlas of Life region, please consider sending us a Creature Feature story. Contact Atlas of Life. The Atlas of Life groups, along with Canberra Nature Map, use the NatureMapr database platform.